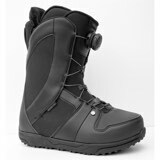 A pure snowboarding boot, the Lash continues to dominate all areas of the mountain. This is the only boot that can please everyone all the time. Say hello to a Thirtytwo classic. Re-designed fit makes the Lashed fit almost everyones foot straight outta the box! Berg s boot tech recommendation: Have your 32 brand boots custom heal molded to your feet at your local retailer before riding. 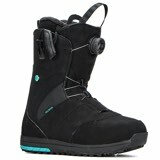 This will help your first days on the mountain to be more comfortable as you go through the normal break-in process. Fit Tip: All Boots stretch out about 1/2 size. It is normal to have a smaller Boot size than your shoe size to compensate for the boots stretching and getting "BIGGER" from how they feel in the store. 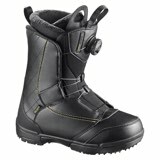 -Spend some time choosing your boots they are the most important piece of gear you'll buy. 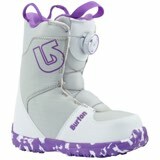 Intuition Ultralon liners: Every pare of Thirty Two Boots comes with Custom Heat moldable Intuition Ultralon liners. When heated and placed back on your feet, these liners will cool and form a custom cast of your foot giving you the most precise fit. This provides increased support, comfort, circulation, and fewer pressure points. Be sure to have your Thirty Two Dealer use their patented heating machine to heat and custom fit your boots before you ride. Most boots stretch out about a half size. It is normal to have a smaller boot size than your shoe size to compensate for the boots stretching and getting "BIGGER", over time. from how they feel in the store. Make sure to work with a boot tech person to fit the boot to the "SHAPE" of your foot. 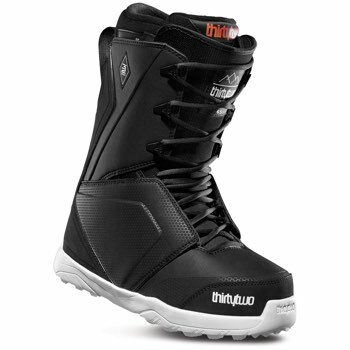 Fit Shape is vital to the performance of any brand of boot. 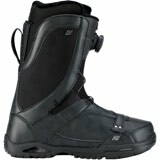 Be sure to walk around in the boots (10-15min) fully laced to help make sure they are the correct shape for your foot. For improved fit and comfort consider adding a CUSTOM FOOTBED like "Superfeet" that is properly matched to your arch shape. This will help the boot anatomically support your foot which will reduce pressure points and securely hold your foot in place.